if you get a used w-6 or w-7 make sure to check the foam they tend to crack ! This is true if they are allowed to sit for extended periods of time. ended up getting a idmax12 in a small sealed box. took out my stealthboxes today and put in the sub. i couldn't believe the difference. i knew it would be louder, but the bass is a lot deeper, and tighter. L bracket and screw it down to a seat or something. I'm a bit nervous when people say they screw it down to the floor. There's a gas tank down there in some cars lol. 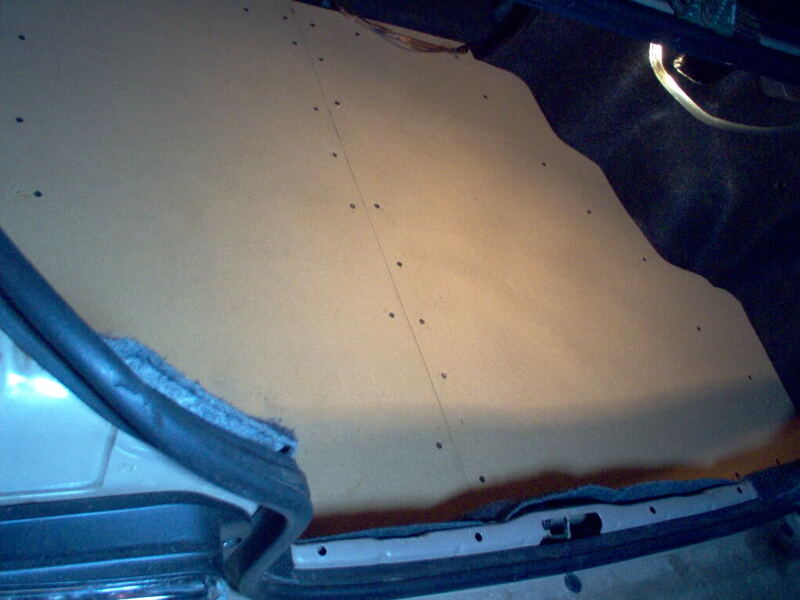 im not a believer in putting holes in the body of the car so easy fix is to fabricate a sub floor like this one ! ended up getting a idmax12 in a small sealed box. Amazing sub!!!! Great choice after all. i can't believe how much clearer the bass is on this sub vs what i was using before. i can now distinguish different bass notes whereas before it all just sounded like one..
fuzionrolla, i was thinking about something like that, but i don't have a lot of space overhead... is it safe to assume that most people do anchor their subs if they aren't built into the trunk? what i did was pretty clever under the mdf is strapping witch keeps the floor level and where the two sheets meet in the middle there is strapping there too to keep it strong you all know ppl love to go to car show's and see what ppl have and what is steel able. well i had installed the box without subs used screws and screwed the box to the floor lmao looks like nothing is holding it but when time comes for some one to steal it they get no where ! their are many other ways to mount a sub box here is one you can cut two 2x4 to the with of your trunk place one infront of the box one behind it use two strappings linking one end of the strapping from the front two by four to the back one ! do that on both sides tight to the box and voila not going anywhere !